Creating social media content takes time. And creating great social media content takes even more time. You don’t just need to think about what types of content you’re going to create, but also how you can customize your social media posts for each platform. How do you find the time to create so many pieces of social media content? 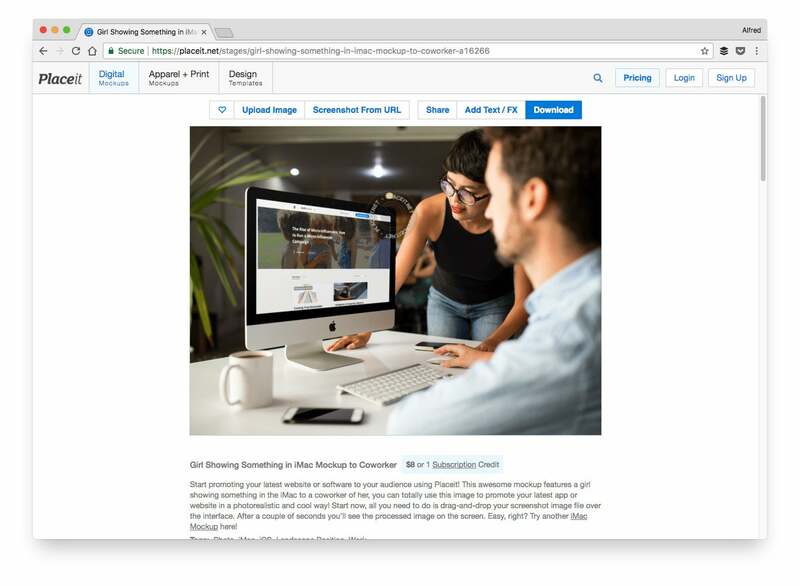 Well, here’s some good news… with the right tools, you can save a bunch of time and create epic pieces of content in minutes. We’d love to help you get the most out of every minute you spend creating social media content. 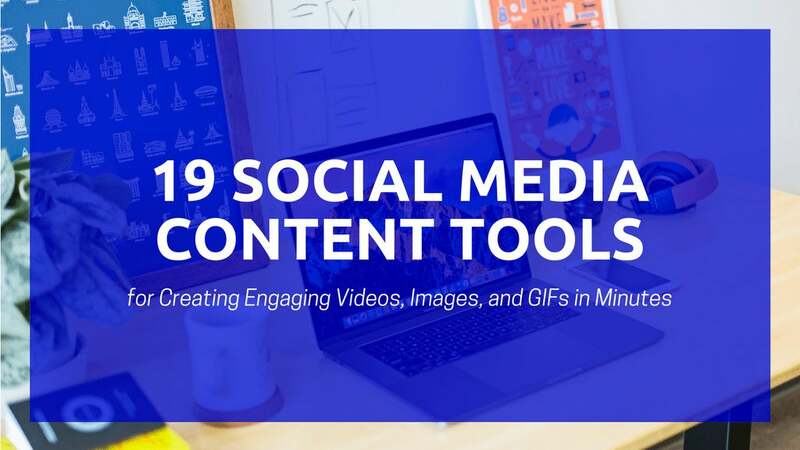 Here are 19 social media content tools you can use to quickly create images, infographics, stories, videos and more. Feel free to click on any of the tools to skip to the respective section. 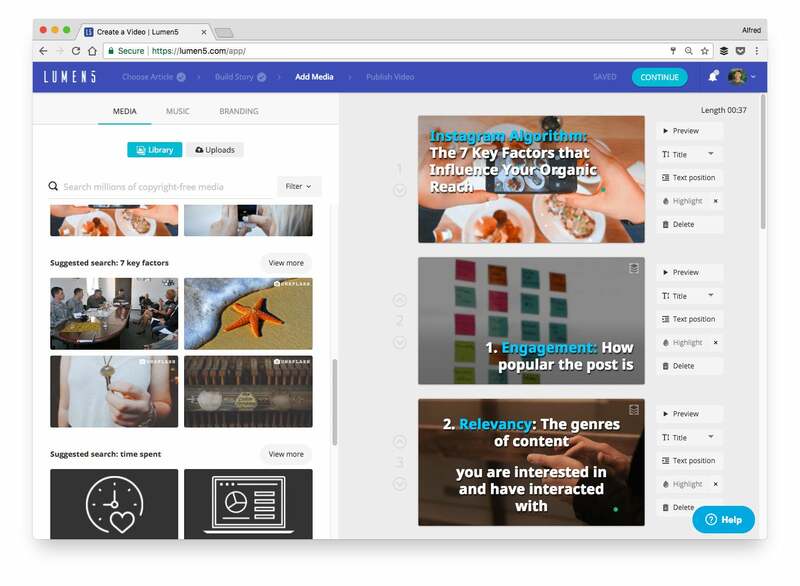 Description: By analyzing the content of your blog post, Lumen5 can automatically create a video storyboard for you. It even recommends relevant images and videos, which you can easily use by dragging and dropping onto the respective frames. A fast way of creating a useful video is to highlight only the key points of your blog post in your video. After you enter your blog post URL into Lumen5, Lumen5 will display your blog post text on the left side of the app. 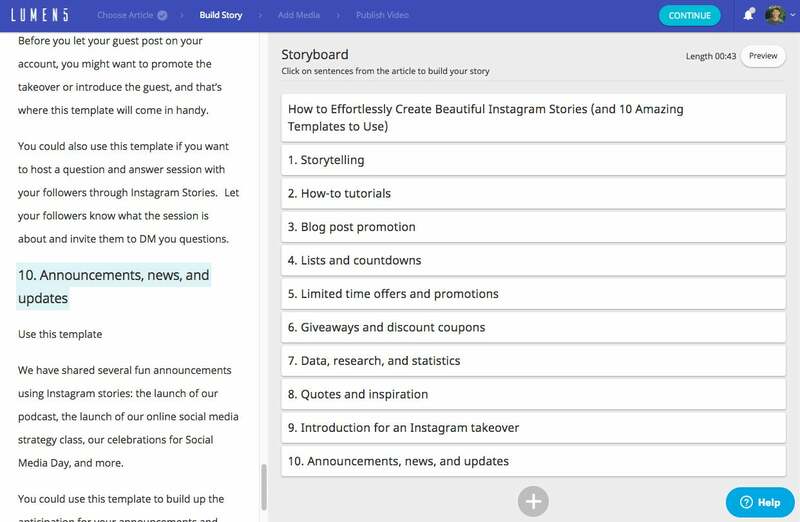 Select the subheadings of your blog post (which are likely the key points) to add them to your storyboard. Lumen5 will then generate a video according to those subheadings. Description: If you often retake your videos because you can’t remember what to say, you’ll love BIGVU Teleprompter. It displays your script as you record your video so that you can easily refer to your script. With its web video editor, you can also spice up your video by changing the background and adding captions. In the teleprompter app, you first have to create your script. An easy way might be to draft your script on a desktop and transfer it to your smartphone via Google Drive or Dropbox. If you want to record your video horizontally, hold your smartphone horizontally before tapping the camera icon. There will be a five-second countdown once you tap the “REC” button. And the recording will automatically stop once the script ends. Description: Animoto helps you turn your photos and video clips into video slideshows with minimal effort. It’s one of the few video tools that let you easily create square videos, too. 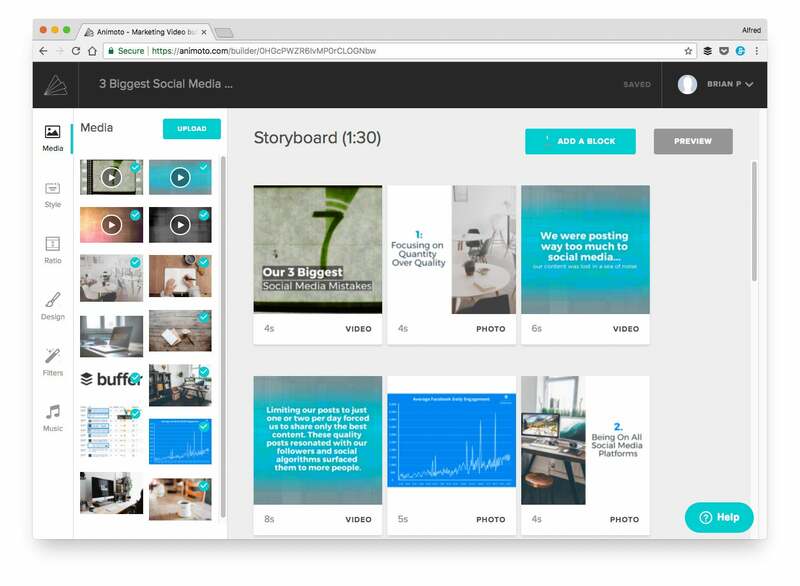 We have been using Animoto to create many of our social videos (you can check out some of them here). Use one of the many storyboards provided by Animoto to speed up your video creation process. Each storyboard is pre-made with a structure, a style, and a song. Once you have picked a storyboard, simply replace the template content with your photos and video clips and edit the text. 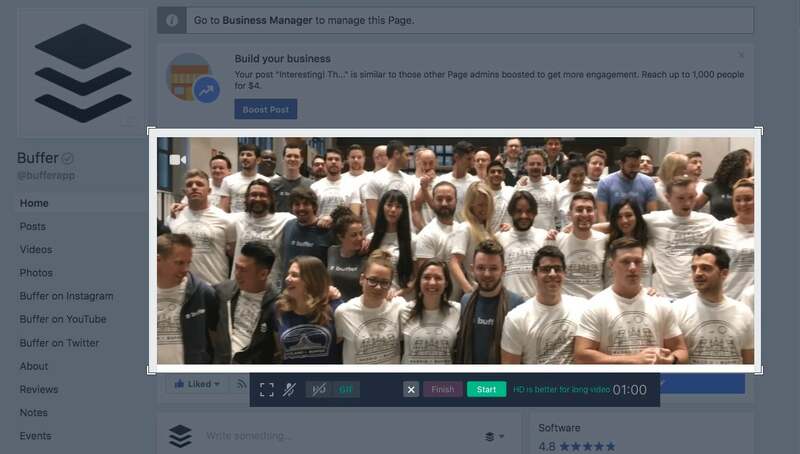 After you create your video, you can download it at various video quality and upload it directly to Facebook or Twitter to get more engagement and shares. 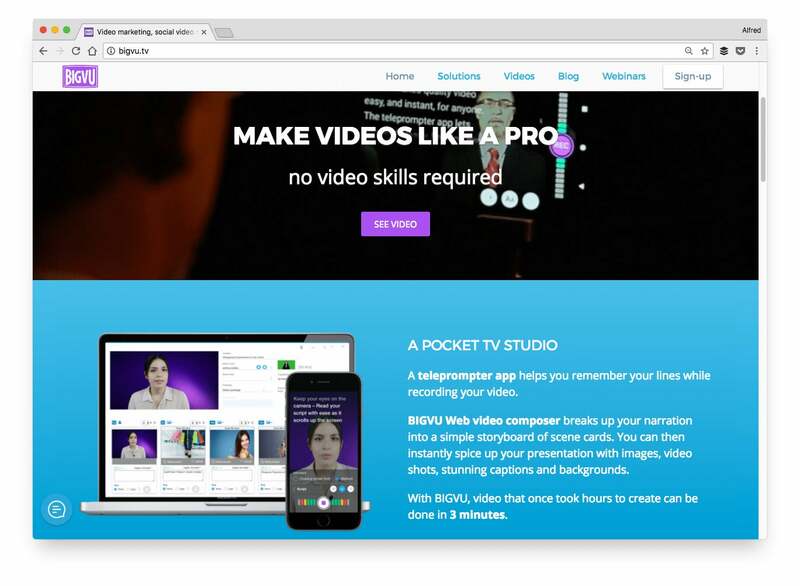 Description: With Rocketium, you can create videos for social media or advertising in minutes. You can easily switch between different video orientations -- landscape, portrait or square -- and Rocketium will automatically resize your media files and captions accordingly. Rocketium offers a library of pre-set templates and themes, which you can use to quickly style your videos. 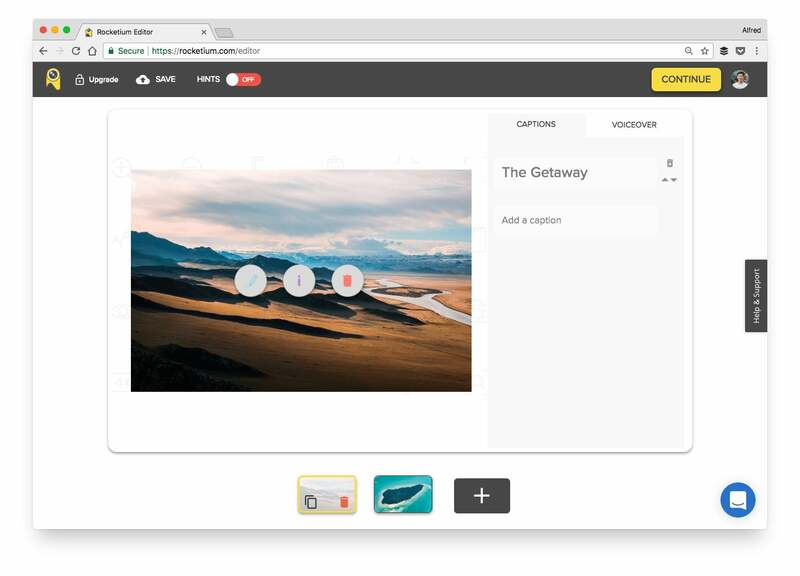 After you have selected your photos and video clips and entered your caption for each scene, just hit any of the templates or themes and Rocketium will automatically style your video’s transition, caption and music for you. 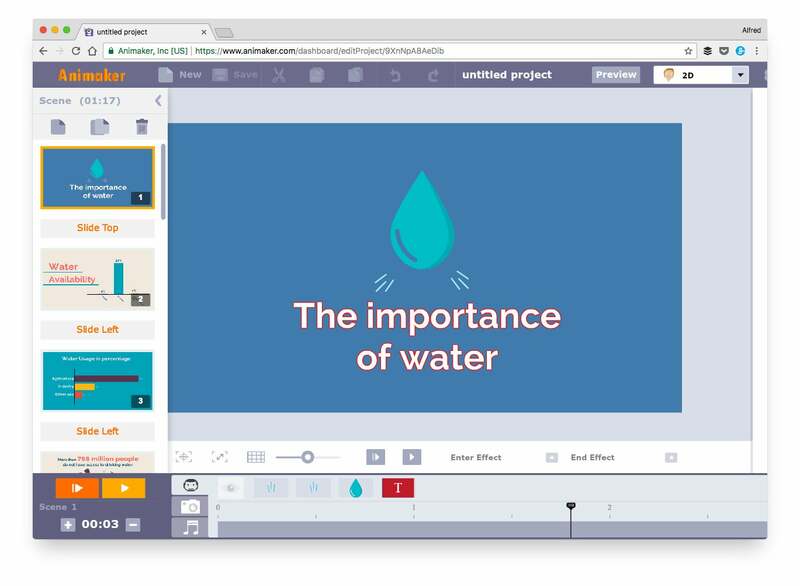 Description: Animaker makes it possible (and easy) to create animated videos with impressive effects without needing any technical skills in creating animations. 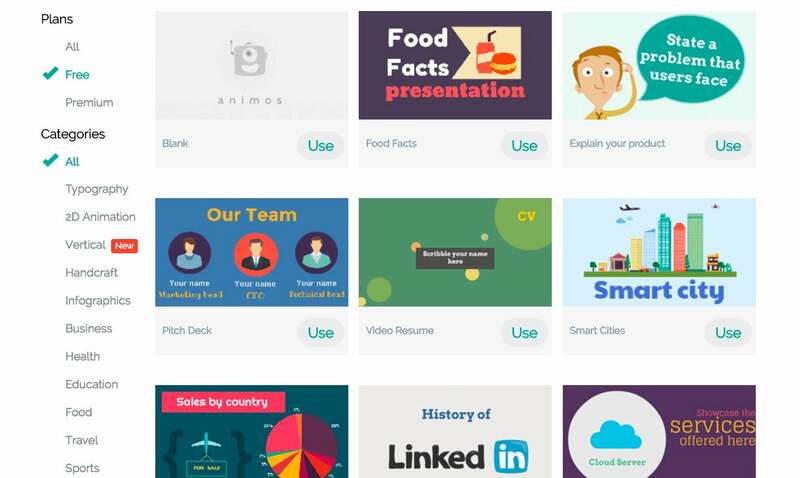 Animaker has over 40 templates you can use to create your animated video. Each of these templates is essentially a ready-made video with the proper effects, transitions and music. To create your video or story quickly, you can just change the content and keep the rest as it is. 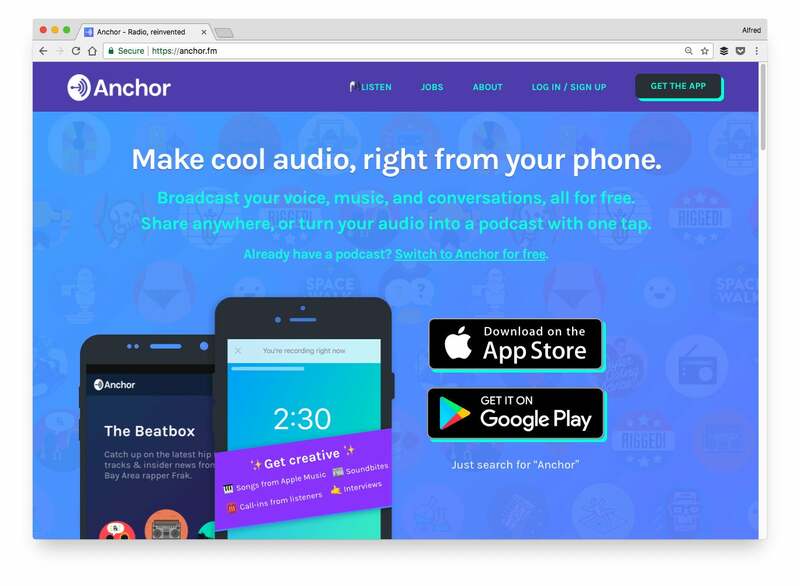 Description: Anchor is a social media platform for audio. With its app, you can easily create audio recordings and videos that are great for sharing on social media. 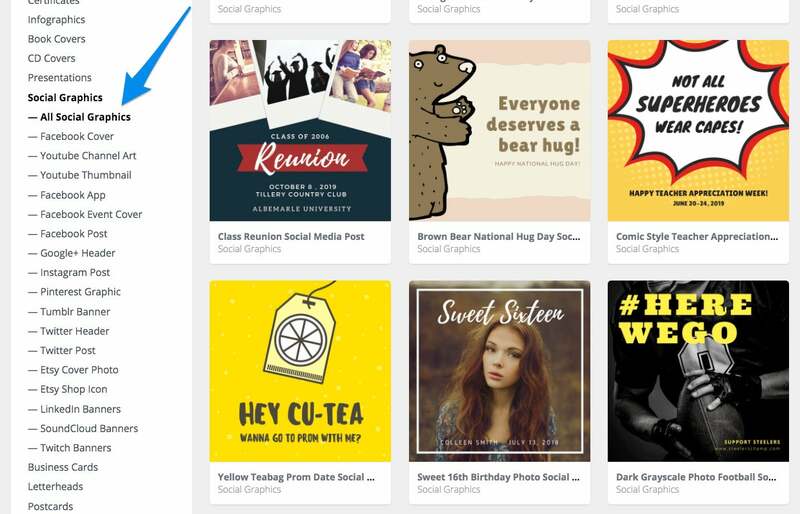 Description: Canva is one of our favorite design tools for creating social media graphics. You can create high-quality graphics quickly using the templates, layouts and design elements -- even on the free plan. 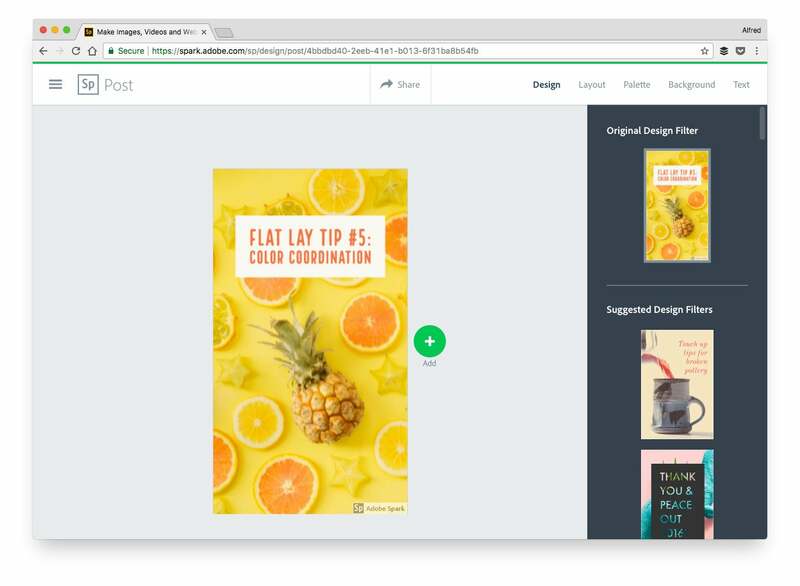 Instead of creating your social media graphics from scratch, use Canva’s amazing library of templates, which you can use and customize -- for free! There’s a section in the library purely for social media graphics. 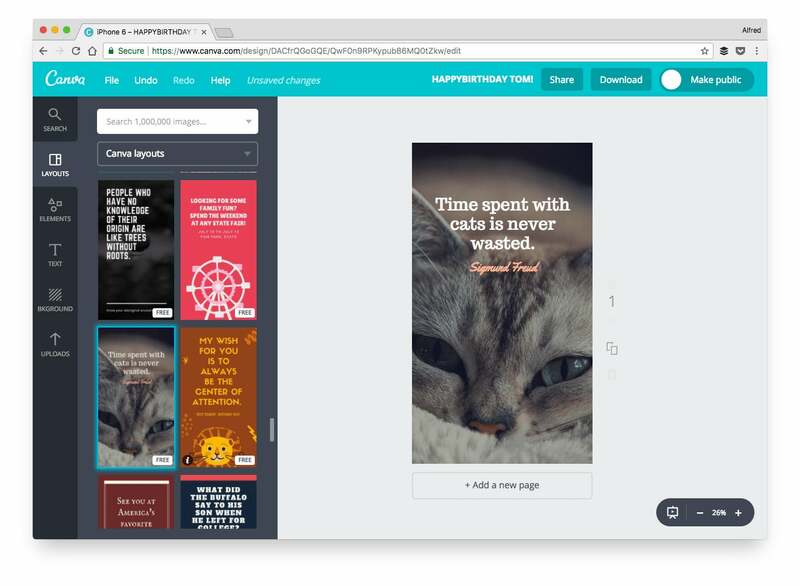 You can access the library via the “Explore templates” option in your Canva dashboard or this direct link: https://www.canva.com/templates/. 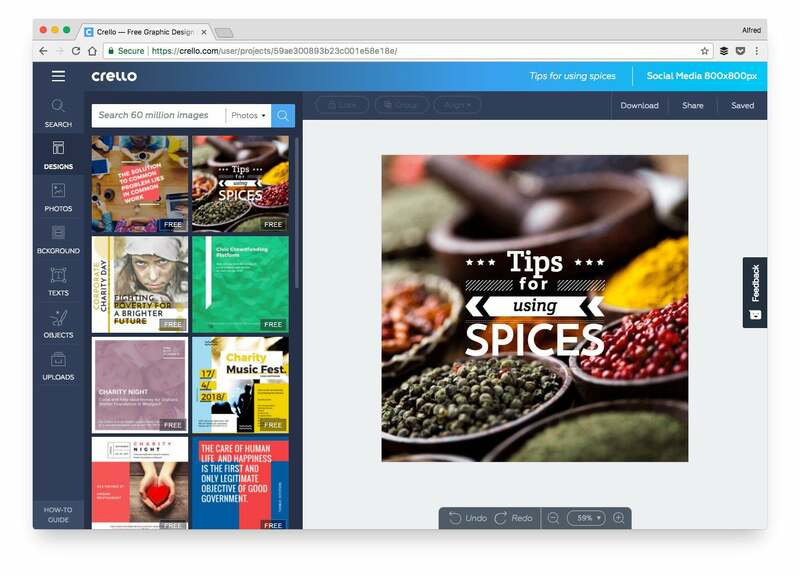 Description: Crello is a new graphic design tool that is very similar to Canva. Its advantage is that it offers more than 10,000 free design templates, 11,000 design elements and 65 million stock images. 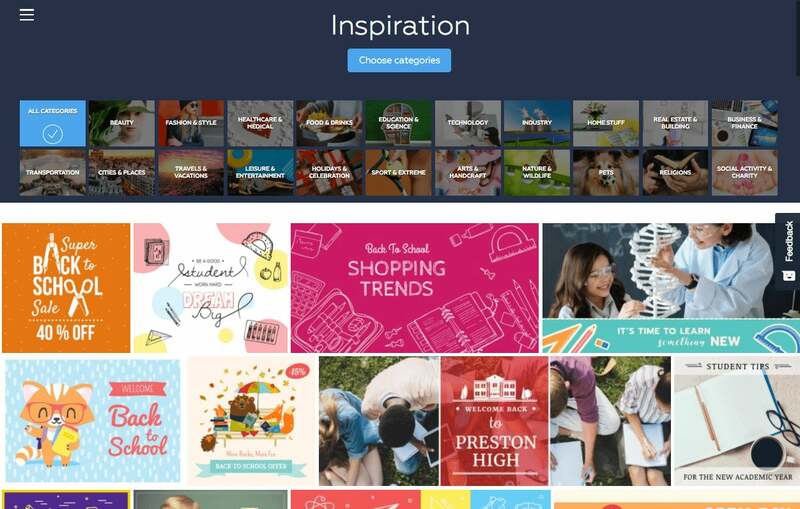 Just like Canva, Crello has an “Inspiration” tab where it showcases its free design templates. Simply click on a design template and you can customize it using the Crello editor. 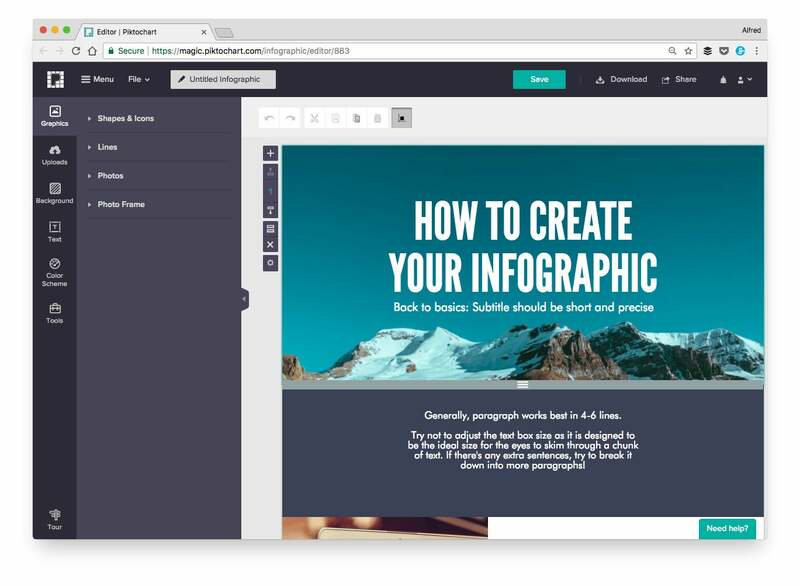 Description: Adobe Spark is a design tool we’re starting to love a lot more, and it complements Canva nicely. It offers several unique features such as resizing, color palettes and style suggestions. Apart from templates that you can remix, Adobe Spark has a feature that suggests design styles to you. Instead of spending time thinking how you should design your graphics, all you have to do is turn a dial. 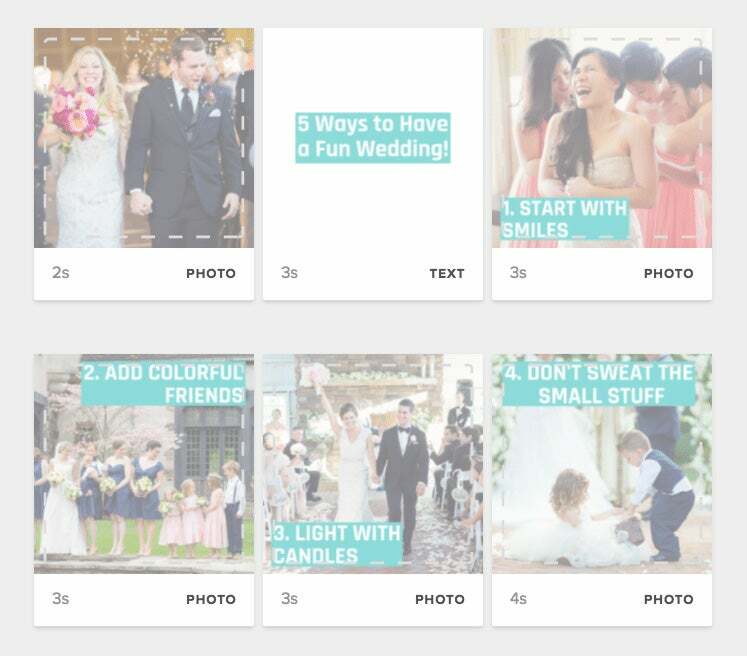 If you create Instagram stories often, we recently teamed up with Adobe Spark to create 10 free pre-made Instagram Stories templates. Description: Stencil is built specifically to help you create social media graphics faster. Apart from its web app, it also has browser extensions, which you can use to create images from any website that you’re on. With Stencil’s browser extension, you can easily grab an image or text and convert it into a beautiful graphic to share on social media. With such great power comes great responsibility. Be sure to grab only images that are free-to-use (for personal or commercial use) and give appropriate credit on your graphics. A good way of using this extension is to share quotes from your blog posts. Description: Piktochart is one of the most popular design tools for creating infographics. With the free plan, you can create an unlimited number of graphics and choose from over 4,000 icons and images. If you often create infographics, charts or graphs to share, a handy trick to know is that you can easily re-use your designs by copying a group of elements from one infographic and pasting them in another. Then you can change the data, color or font to make the design look new. Here are 18 more Piktochart hacks to help you save time and create nicer infographics. Description: Infogram offers over 35 types of charts, 500 types of maps and a million images and icons to help you visualize your data beautifully. 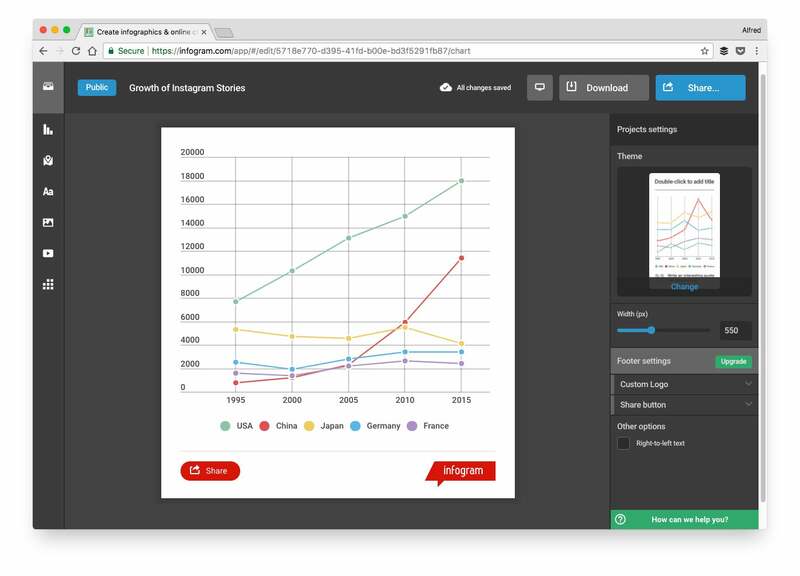 A fast way to create charts with Infogram is to upload your own data. 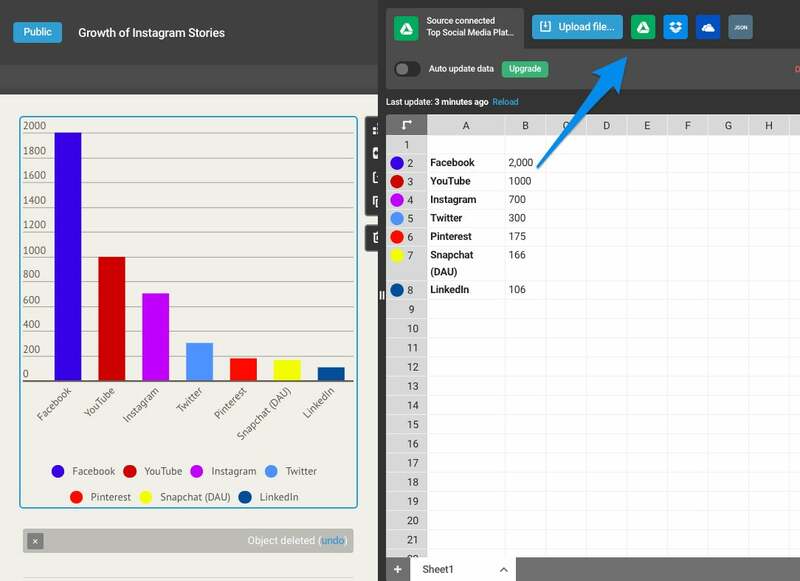 Once you upload your data, your chart will update accordingly and you can then edit it as you wish. 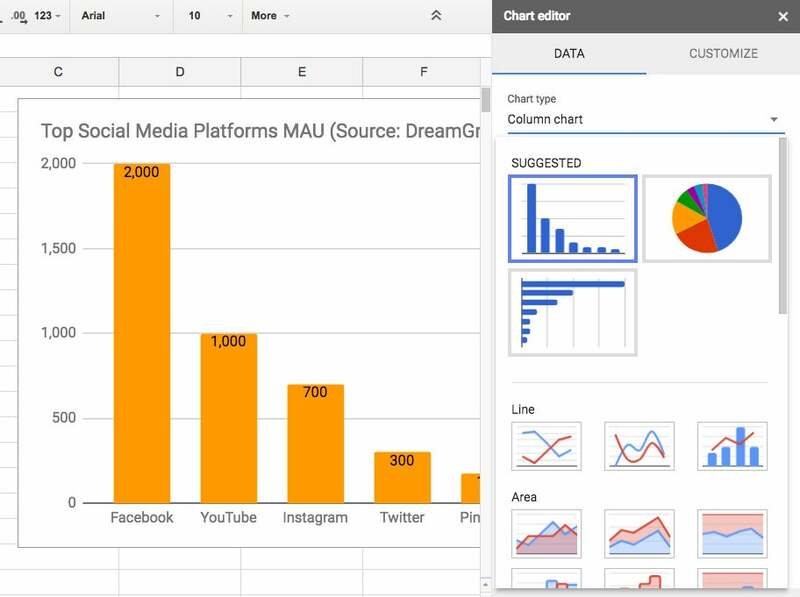 Description: I personally like using Googe Sheets to create simple graphs and charts quickly. I find it most suitable when I just want a simple graph or chart. 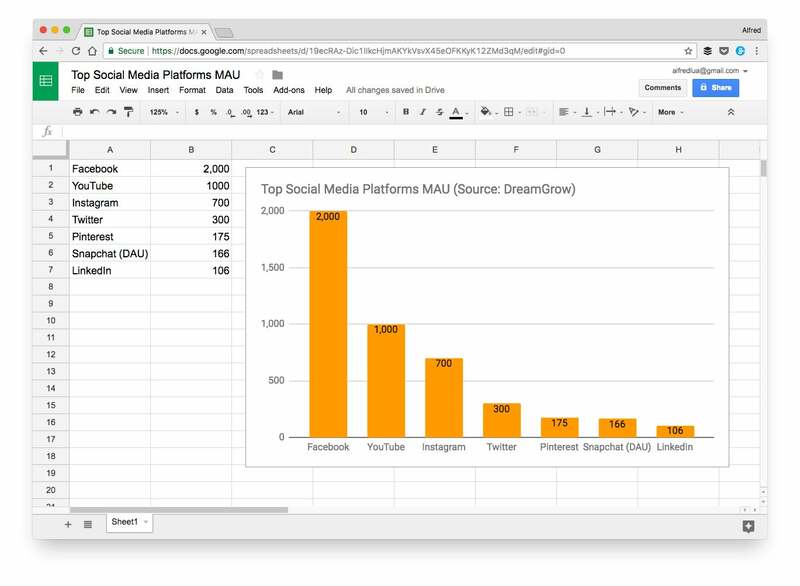 Select the data in your Google Sheet and then click “Insert” > “Chart…”. The chart editor will appear on the right-hand side. In there, you can change the chart type to the one that’s most appropriate for your data. 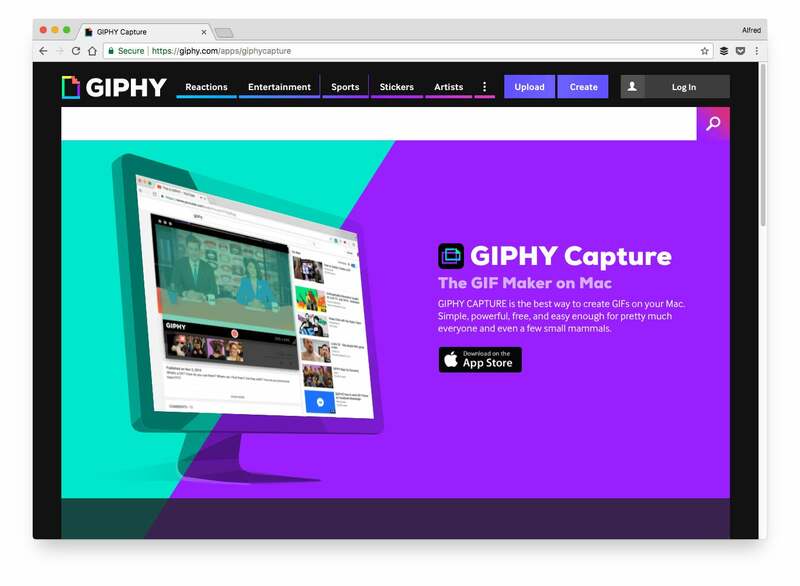 Description: With GIPHY Capture, you can capture anything on your screen -- video, demo, etc. -- with just a few clicks. To record a GIF, simply change the size of the recording area according to your preference and hit the red record button. 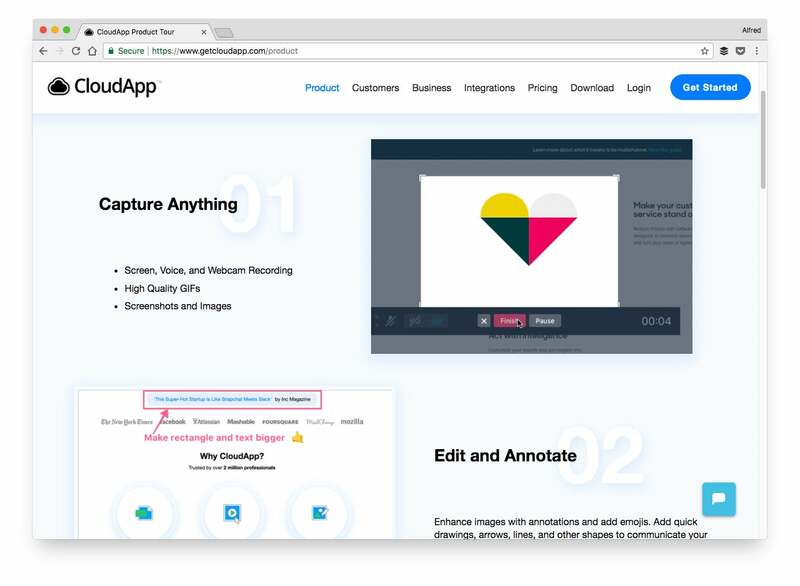 Description: CloudApp is my go-to tool for grabbing a screenshot (and adding annotations), recording a video of my screen or myself or creating GIFs. 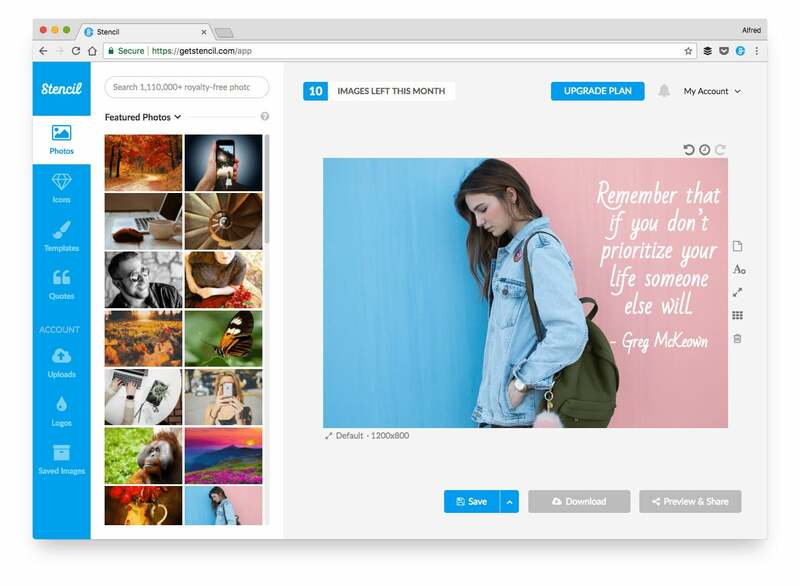 Description: gifs.com not only allows you to create GIFs quickly but also allows you to add many effects, such as captions, stickers, padding and more, to your GIFs. gifs.com has an auto-gif feature that can save you some time while creating GIFs. Once you have found the video you want to use (either by searching in the library or pasting a YouTube URL), select “auto-gif." gifs.com will then find the best moments in the video and suggests six GIFs to you. Select your favorite GIF and click “Continue." 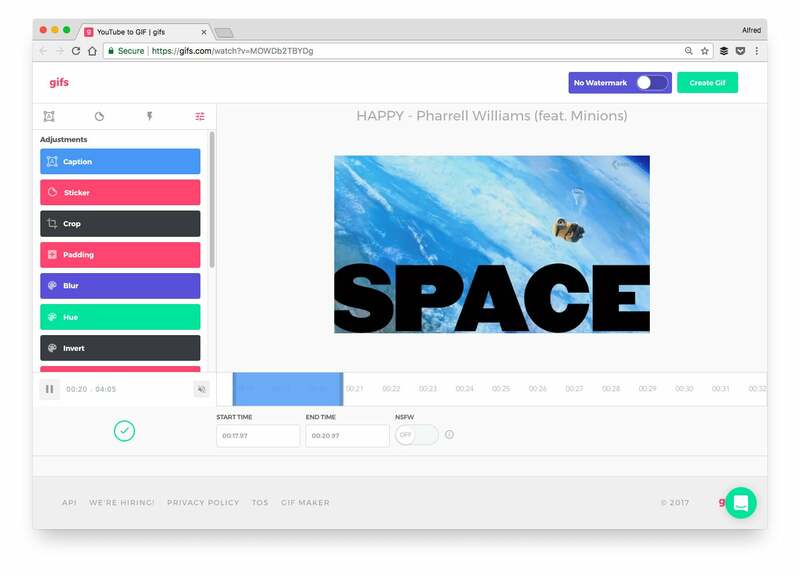 gifs.com will instantaneously create that GIF for you. 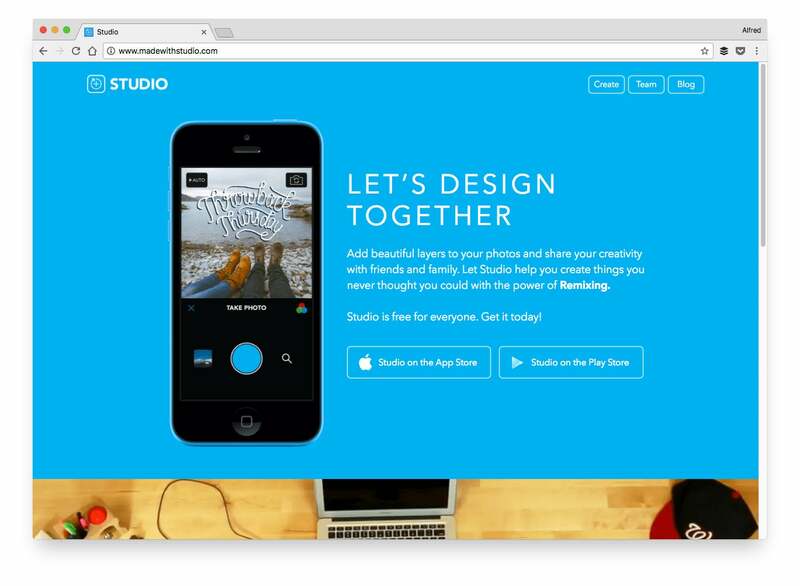 Description: With Studio, you can tap into the design skills of its community. Apart from creating original designs, you can remix existing designs from the community (i.e. use the design layers with your own photo). 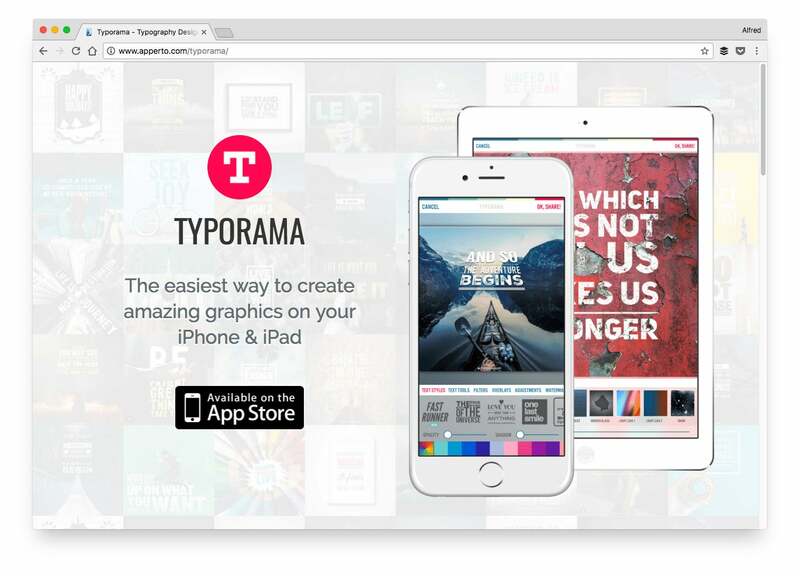 You can create a graphic with Typorama in just four steps. Description: Placeit allows you to showcase your digital product and designs in realistic environments. You can save the time and money that would have been spent on a photo shoot just to get such images. First, search for your desired environment. A trick is to include your preferred device (e.g. iPhone or Mac) and background (e.g. office or cafe). Then, upload your image or enter a URL to grab a screenshot from the URL. Placeit will automatically place your image in your selected environment.